RTR: So, you played the English Poker Open 2012 – sponsored by RakeTheRake – and you made the journey over from the States through Cake Poker EPO Prize Packages. Tell us about how you won your EPO seats. 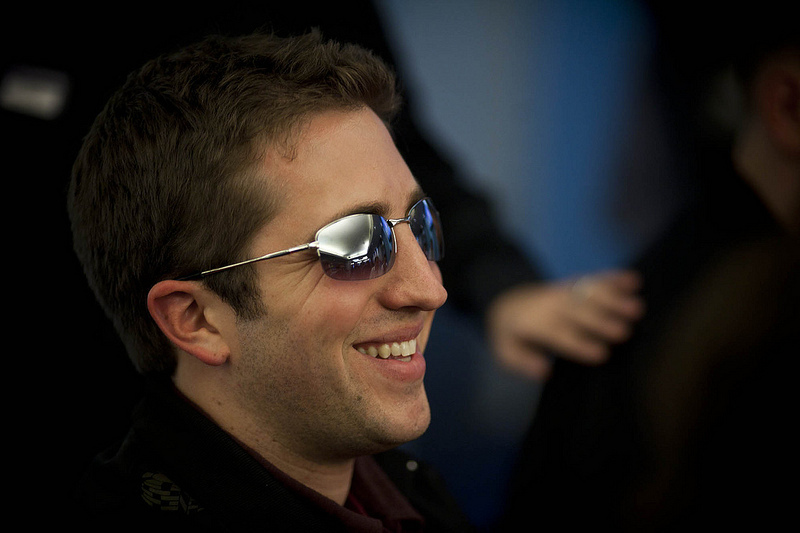 Greg: I remembered seeing the EPO qualifier tournaments one day while browsing the tournament lobby, so one Sunday while playing a slate of Sunday MTT’s I decided to pay the $30 and enter the EPO satellite. I ran well during the re-buy hour and luckily didn’t have to spend any additional buy-ins besides the add-on at break, and after the first hour I had a pretty solid stack. I was multi-tabling of course, and the tournament was winner take all so surviving the field and playing tight, or at least having a tight image, was my main strategy, until the final table, where I knew people would tighten up not wanting to hit the rail with a poor starting hand and I was able to open up a little bit. When it got down to three players, one of them I knew was a solid successful player who I’ve played with many times before, and he was obviously willing to gamble, making it known early that three-bet shoving on our raises was going to be common. As it turned out the 3rd player (who I didn’t necessarily recognize) actually eliminated him in a big pre-flop all-in. I was pretty confident that I could lean on him and have an advantage heads-up, and luckily for me my AJ held up against his QK about 15 minutes in and I was able to lock up my seat. RTR: So you made it along to the EPO Welcome Party – first time partying on a boat for you? Greg: Yes it was! I had an absolute blast, they really put on a great party for us. I didn’t know what to expect, I half thought it would be full of poker players in their pajamas. The gin & ginger ales were flowing, I met tons of great people and contacts in the industry, it was definitely a highlight of my trip. RTR: Had you had much live tournament experience before, or was the EPO2012 a bit of a baptism of fire for you? RTR: As you know, Mickey Petersen came out the winner and he’s an online pro – do you think that online players crossing over to live can bring a fresh and ultimately successful style or strategy? Greg: Absolutely I do. He’s a great player and someone I’ve played against online a number of times. When I heard he was in the tournament I knew right away he would be a force to be reckoned with. With the incredible numbers of hands online players have seen and played, I think situation recognition and gear-shifting throughout the long blind levels and days is something they/we can exploit and use to our advantage. Live players have their advantages too though for sure, and after a raise when a live player is staring at me analyzing my every movement, or lack-of, trying to figure out how the range of my hand, I may secretly long for the comfort of my computer chair and protection on the virtual felt. I’ve bought a couple books recently on tells and body language to try and improve my live game. RTR: How did you do in the tournament itself – it was a very competitive field wasn’t it? Greg: It was definitely a talented field, certainly with a wide array of players and approaches to the game. I was ultimately pretty happy with my performance, there are always a few spots to look back on and re-evaluate. I did well the first 7 hours of day one and was very comfortable with my table and the players I was seated with and had accumulated a pretty big stack early. When my table broke and I was re-seated for the last two hours of the day however my momentum was definitely halted. My new table contained some very aggressive players who were more than willing to three and four-bet the newcomer often, and a combination of cold cards, a couple poor lay-downs and decisions, and an un-recovered image lead to me starting day two pretty low-stacked. I was able to double up a couple times on Day 2 and was feeling pretty confident overall. When we were down to 30 something players I was all in with aces preflop against AK looking to propel myself towards getting a final table worthy stack, but the turn and river gave him a straight and I disappointingly hit the rail. RTR: Out of all the pros at the EPO, who do you most admire or look up to and why? Greg: I must admit I wasn’t overly familiar with many of the live English Pro’s, so to me Mickey was the player I admired most. With me being mostly an online player, it’s exciting watching the successes like his and it motivates me to keep grinding and improving my live game. RTR: How much do you play online versus live, and do you prefer one over the other? Greg: I’ve been a pretty active online grinder for a number of years now and certainly prefer the virtual felt and being able to multi-table, although of course now with the departure of many of the web sites to Americans my volume is significantly lower. I still play probably 3-5 days per week just trying to add whatever extra cash flow that I can and staying as sharp as possible and continuing to improve my game. To be honest I’ve always been more of side-game and omaha8 player, most of my career has been loading up on PLO8 and PLO tournaments with some Hold’em just getting mixed into the bunch trying to get some big scores here and there. RTR: Has qualifying for and playing in the English Poker Open 2012 given you the impetus to play more big live tournaments? Greg: Absolutely… I will definitely continue to try and qualify for more international tournaments, and I’m looking forward to playing more WSOP Circuit Events and hopefully making it out to Vegas again next summer. I’m getting more and more confident in my live play and hopefully I’ll have many more opportunities in the future. RTR: What are your poker ambitions now – do you see yourself making a living from poker, or will it remain just a hobby of sorts? Greg: I’ve played online poker for a living exclusively for a number of years before and I enjoyed it very much, but it’s not my only ambition. Not to mention until the legal atmosphere in the US gets situated it’s almost impossible unless you’re a live casino player. I’m currently working full time, and playing poker as a hobby is suiting me pretty well at the moment. I’m expecting a baby girl pretty soon, so priorities are going through quite a shift as you’d imagine. RTR: What were the highlights of the whole experience for you? Greg: It was my first time in Europe, and I really made it a point to try and soak up as much of London as I could during the week when I wasn’t playing poker. I made the trip with my sister and mother and experiencing everything with them was something really special to me. We’re very close and we all love travelling and seeing new places, so we just had a blast doing all the touristy activities, finding great food and beer, packing everything we could into each day. It was a tremendous experience and I can’t thank the people of Cake Poker and RakeTheRake enough. I can’t wait to do it again! Check the RakeTheRake blog next week for another interview with one of our Cake Poker English Poker Open 2012 Qualifiers.